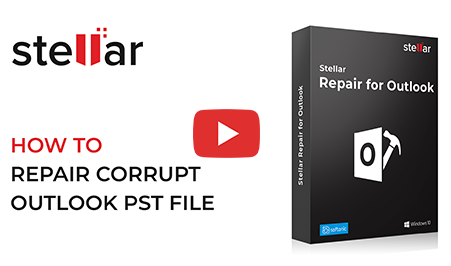 Stellar Repair for Outlook is the most comprehensive software to repair corrupt PST files and recover Outlook mailbox data— emails, contacts, calendars, tasks, notes, journals and more. Gets back every bit of your mailbox data in a new PST file— intact and ready to import! Why you must choose the Stellar Outlook PST file repair software? Repairs ALL PST files including the severely corrupt and encrypted PSTs. Complete Outlook mailbox recovery solution. Recovers deleted emails, attachments, and contacts. Free Preview gives access to entire emails before saving them. *Download the free trial version to scan & preview your recoverable mail items. I am happy to say that the data was successfully recovered. I purchased the PST repair software as the last risk of attempting to recover data from a .pst file for a worried client, who didn't have much hope, but this tool got us rid of this situation. Stellar Repair for Outlook repaired my 30 GB of emails and restored them to MS Outlook. They spent time with me throughout the process which was beyond the call of duty. I recommend them to anyone anywhere. Why Do We Need Outlook PST Repair? 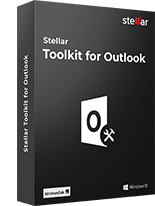 Stellar Repair for Outlook software is required to repair the corrupt and damaged Outlook PST files. Corruption may be caused due to large PST files; sharing PST over the Network; virus attack issue and more. This software retrieves emails from password protected and encrypted PSTs, and also helps in the recovery of deleted emails. 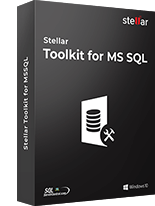 Stellar software ensures recovery of all mailbox components including emails, contacts, calendars, journals, notes, tasks and restores them all into a new usable PST file. Quite a number of users encrypt their Outlook PSTs in order to safeguard their crucial emails. Similarly, users lock their PSTs with a password. However, when needed, they fail to retrieve PST data. 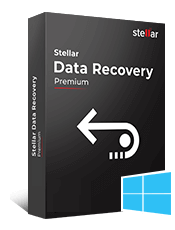 PST Repair software from Stellar can overcome this hurdle by recovering data from encrypted and password-protected files. Software does not require any password to decrypt and moves towards repairing the PST. 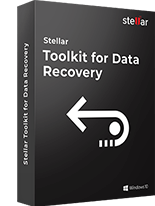 This PST repair tool from Stellar allows you to find, view, and save specific messages from the file. The ‘Find Message’ feature helps narrow down the search criteria through various options. Furthermore, the selected messages can be saved in EML, MSG, RTF, HTML, or PDF format. Outlook PST recovery software repairs damaged PST files irrespective of its size and level of damage. It can smoothly work with bulk size PST file and this feature makes it stand out from its competitors. In case you're unaware of the location of the PST file on your system, the PST repair tool allows you to search for it through a convenient ‘Find’ option. From the displayed list, you can select the affected PST file to participate in the repair and recovery process. The PST file repair software is designed to match the interface of MS Office 2016 for making users more comfortable and minimizing chances of any errors. You can put the application to display any of your desired themes: Office 2016 (Colorful Theme, White Theme). The support of latest Outlook 2016 style theme encourages Outlook users to initiate repair PST file process in a user-friendly environment. With this PST recovery, you have the option to save the newly created PST file at a desired location on the system. The location can be any disk (including network location or external media) visible to the host operating system. The application allows users to preview recoverable items before saving them. In the latest version of the software, this feature has been enhanced for calendars, tasks, journals, and contacts. You can also save any particular email directly from the preview section itself by right-clicking on it and selecting desired format (MSG, EML, RTF, HTML, and PDF). After a PST file is scanned, all recoverable items are listed in a tree-view format. This Outlook recovery software lets you arrange scanned emails using various criteria such as 'Date', ‘From’, 'To’, 'Subject', 'Type', 'Attachment', and 'Importance'. This feature helps you to sort and organize the messages into pre-defined groups. How do I repair a corrupt PST file using Stellar? Run ‘Stellar Repair for Outlook’ by a double click on its icon. Use the ‘Browse’ button if you know the location of the PST file. Use the ‘Find’ button if you do not know the location of the PST file. Click on the ‘Repair’ tab. A preview of the emails and other data is displayed. In ‘Home’ menu, click on the ‘Save Repaired File’ icon. From the ‘Save Options’ dialog box, choose one from the PST, EML, MSG, RTF, HTML, and PDF file formats and the ‘Destination Location’ using the ‘Browse’ tab. By following above-mentioned steps, you can repair your corrupt PST file with the use of this software. Is there any option in the software to find the particular PST file, I want to locate & repair PST file automatically? Yes, the software provides an option, 'Find' with which you can search all PST files in a selected volume. From the list of PST files, you can choose the one you want and proceed with the repairing process. What can I do with Free Trial Version of the Outlook PST repair Software? With the free demo version of the software, you can repair the corrupt PST file and preview all the recoverable items in it. If you get satisfied with the result, you can purchase the full version of the software to save the recovered files. Even after repairing the PST file, I am unable to open it. How to solve the problem? Go to the 'Control Panel' of your system. Click 'Mail' > 'Data Files'. Locate the repaired PST file from the list. Select the file and click the option, 'Set as default'. Close all windows and open your Outlook application. Now you can access all your recovered mail items. How much time the software will take to repair PST file? The repairing time taken by the software depends on the size of the corrupt PST file and its level of corruption. Note that heavily corrupt PST files will take more time to repair than that of less corrupt files. How to import the repaired PST file in Outlook? Open your Outlook application. From the 'File' menu, select the option, 'Import and Export'. The Import and Export Wizard opens. Select the option, 'Import from another program or file' and click 'Next'. From the Import a File box, choose Personal Folder File (PST) and click the 'Next' button. Click 'Browse' and locate the repaired PST file to be imported. Select the appropriate option from the options box and click 'Next'. How can I find my Calendar entries in Outlook after the repair Outlook PST process ? Open Outlook and press "Ctrl+Shift+F"
This will open the 'Find Message' window. From the 'Look For' section, select 'Calendar'. Click 'Browse' and select the repaired PST file that is being imported into Outlook. Click 'Find Now'. During the recovery process, software has shown the preview of the calendar entries, then you will definitely find the Calendar here. How can I recover my PST when Inbox Repair Tool is not working? 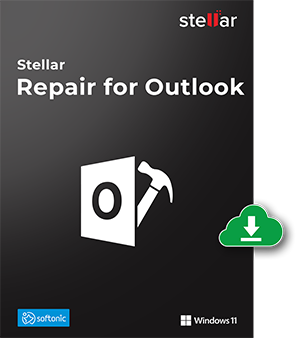 In case of failure or unavailability of Inbox Repair Tool, you can use Stellar Repair for Outlook. To know the troubleshooting steps, click here. How do I Run ScanPST.exe if it crashes Continuously? You could be having an error in ScanPST.exe if it quits or freezes unexpectedly. Don’t struggle and run Outlook PST Repair to fix all problems in MS Outlook. How Can I repair PST File in Outlook 2010? Start the application and click on ‘Browse’ button. Then, select the PST file that you want to repair. Can I recover individual mails, using this Outlook PST repair software? Is it possible that an Antivirus/Firewall can block the PST file repair process? Sometimes an Antivirus/Firewall may hamper the PST file repair process. It is recommended to adjust the antivirus settings to continue the repair process. Should I save the repaired PST file at network location (NAS/SAN/Cloud/WAN)? It is advised to avoid saving the repaired PST file at network location. Storing PST file on network may lead to corruption in PST file. 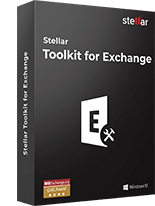 Stellar Converter for NSF converts Lotus Notes mailbox items to Outlook PST format. Exports all mail..